We're continuing our leadership series in this week's blog post (see post 1 and post 2) and we felt it was most appropriate following Easter to reflect on the greatest leader, Jesus. Jesus did not come to earth as the type of leader everyone expected and hoped for. He did not come as a proud and triumphant warrior but as a meek, gentle baby. He did preach in beautiful and extravagant venues wooing people with emotion and whit but instead in homes, boats, and hillsides preaching and teaching relationships, truth about sin and forgiveness, God's grace and mercy. And he did not die gallantly destroying his enemies, but loving them instead and making a way for new life in him. Jesus came not to be served, but to serve, the life of Jesus can teach us many lessons about leadership. Jesus came not to be served but to serve others. We witnessed examples of his servant heart when he provided wine for a wedding, fed thousands, visited sick and dying people, and washed his disciples’ feet. Service was central to Jesus’ ministry. He didn’t put his own agenda ahead of God’s; afterall in the garden of Gethsemane Jesus prayed "not as I will, but as you will" (Matthew 26:39b). He led by example through service and invites us to do the same. Christmas truly is an amazing and beautiful time of year. Where we live, we have a cold, but sunny day. The prediction is that we will get a mountain of snow this week. One of my favorite parts of this beautiful white snow is that it reminds me of the fact that with only a single thought proclamation, Jesus completely covered our sins, just as the snow covered all the brown dirty ground. So what does this have to do with Christmas? With all of the beauty and wonder that surrounds Christmas, it can also be the time of year when emotions are plentiful, sleep is short, gatherings are abundant, and expectations are high. In the midst of preparation for the celebration of the birth of Jesus Christ our Savior, various thoughts can creep into the purest of minds. These thoughts can often form around unhealthy expectations, such as the desire for our children to be perfectly behaved at social gatherings, for our friends or spouses to give us the perfect gift, or for our bodies to magically transform to perfection because we approach New Year’s resolutions. What About Gout?! It's No Longer Just a "Disease of Kings"
Growing up in Germany with health-conscious parents, I was strangely fascinated by the American diet. I remember watching a Christmas movie where drinking a coke was about the best thing that could happen to a sad kid --and it stuck with me. On TV people would always go ‘grab a bite’ and then I’d see them eating French fries and sipping on a shake. When I did an internship in Canada for 6 weeks as a young adult, I felt ecstatic to find a fridge and multiple freezers in my family’s home, always stocked with pop, microwavable quick meals, tubs of ice cream, and a pantry filled with different kinds of cereals. I had so much fun starting my day with mixing sugary cereals, one or two donuts for snack (I was interning as a teacher after all), and walking home for lunch (the school was close) to either have some leftovers from the family cookout on Sunday or those pizza pops all the kids went crazy for. At the end of my school day I would sweeten my free time by drinking coke, and eating ice cream with frozen fruit on top. It felt like freedom! In addition to walking around town, I did spent some time on my family’s treadmill. But when I was back in Germany and had my pictures developed, the photos revealed -without sugar-coding it- that in those 6 weeks I gained 20lbs. But here’s the kicker; it wasn’t my weight that was the real problem. Honestly, I don’t even remember noticing my weight gain until I saw the pictures. What I did notice while in Canada was that my teeth started hurting, which made my much-needed naps very difficult. It wasn’t my gums or one specific tooth, it was the enamel that hurt all over my teeth! I also noticed terrible skin blemishes and severe sluggishness. Having no energy led to craving more sugar! Besides that, the depression I had already struggled with before I arrived in Canada got worse, much worse. This led to falling back into old patterns of comforting myself with food. Most of the day was spent thinking about food and sleeping. And candy… there was always more treats to be had. So why not have more!? I just returned home from the annual Thrive Conference this weekend. The theme this year was Audacious Hope. Shout out to all the ladies who attended the conference (it was incredible)! There are too many topics and ideas to fit into one blog, so I picked out 3 takeaways from the conference that I want to share with you. Guys, Thrive is a women’s conference, but these ideas and questions are universal. “I praise you because I am fearfully and wonderfully made; your works are wonderful, I know that full well,” Psalm 139:14. Sometimes it’s hard to read verses like this and find peace with them when our bodies feel broken, maimed, undesirable. These are not the descriptors that God gave our bodies. He made us good, in his image, fearfully and wonderfully. So then what happened? Why do our bodies sometimes feel broken? Why do they wear out? Why do we look in the mirror sometimes and wish to see a different reflection? Our bodies had been designed in the image of God which is described in Genesis 1:27: "So God created mankind in his own image, in the image of God he created them; male and female he created them." After Adam and Eve created distance between themselves and God in the Garden of Eden, creation—including our bodies—began to break down. But God used this situation to write a beautiful redemption story. He would send Jesus to "comfort the brokenhearted, to proclaim freedom for the captives and release the prisoners from darkness" (Isaiah 61:1b). Jesus came to reconcile us with God and he is now preparing our final home with him. We will not always have broken and maimed bodies. We will be restored and made new. What a great hope we have in Christ! Proximity can be the difference between meeting and missing your goals. Proximity can be the difference between having a dream and making it a reality. Proximity is nearness in space and time. So what is the distance between you and success? I tried to explain this concept to my husband as he was lugging a heavy and awkward spin bike from our basement into our kitchen at my request...yes into the kitchen. He was as confused as you may be. We do not have a spacious kitchen but it fits our needs. There happened to be a space between our kitchen table and the deck door that looked just the perfect size for my experiment with proximity. See the spin bike fit nicely in our basement and I had the best intentions to use the bike while watching TV downstairs. I was excited at the possibility of have a consistent, easy to access workout option in our home that I could utilize despite the variable Minnesota weather. As I've alluded to in previous blog posts, working out is not second nature to me like my dear sister Ashley Darkenwald. I'd go as far to say most of my life I have loathed exercise. It always felt like punishment because it was boring, hard, and painful...and honestly I never stuck with in long enough to see results which only has made me more discouraged from doing it. Fast forward many years of turbulent health challenges and dramatic changes to my daily nutrition, I've found myself exercising again but with a completely different mindset. Instead of thinking of exercise as a punishment, I seek out exercise I enjoy, find my "happy movement" as Ashley calls it. In addition to being much more mindful of what I like and dislike doing for exercise, I'm more aware of how much my body personally needs. I am so full. I feel bloated and weighed down, yet I keep on eating. A handful of bean chips, the leftover broccoli, two slices of gluten-free pizza, a protein shake, etc. This was all after having a nice dinner of delicious homemade tacos. I am so full. What the heck? Rewind 72 hours. I had the privilege of having my nephew come stay with us for the weekend. The whole weekend. He’s 4. And incredibly active. I spent all day Friday prepping food (and my house), as he has a few allergies and food sensitivities. My house is generally one of the neighborhood hangout spots (WHICH I LOVE), but I realized it’s quite different to have extra kids in and out all day and to have an extra one ALL weekend. I hear that a lot, especially from my friends on social media who like and comment on my hashtags, selfies and foodie pics. To them and the rest of the online world, I’m a bona fide social butterfly, always out and about at a different event in a different outfit with a different group of people. Yet while I enjoy socializing very much, there’s been many times I’ve passed on meeting up with friends, just to sit at home alone and do absolutely nothing. 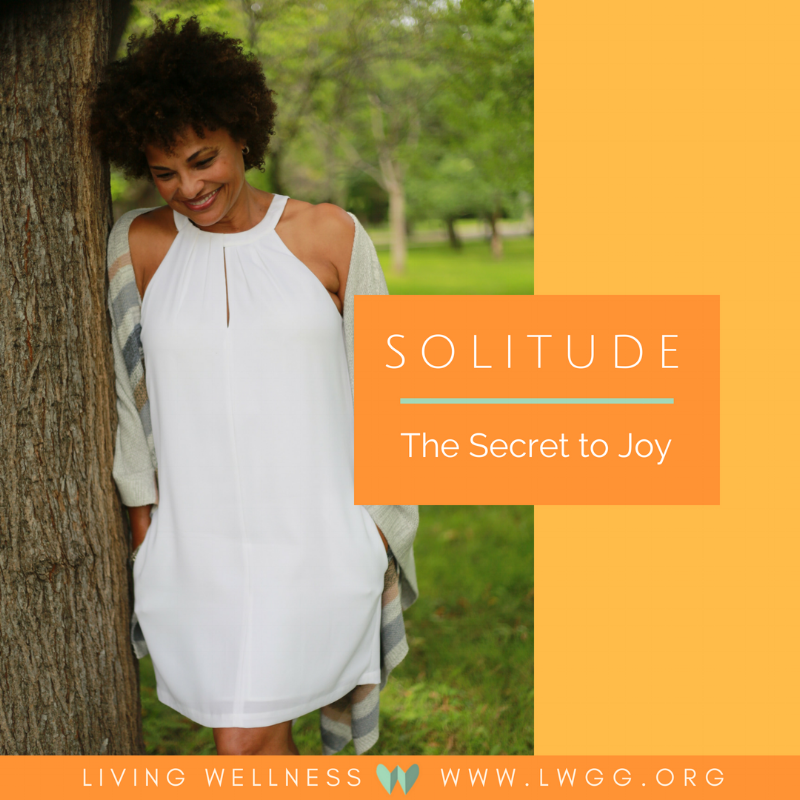 I spend time alone on a regular basis, intentionally seeking out moments to be by myself in complete silence, because I find getting comfortable being alone allows me to get in touch with my own thoughts. Seeking out these quiet moments helps me feel centered, which has the effect of producing calm in my life. And I like that. I like calm. What does that mean for a leader? Intermittent Fasting For Fast Results! The term "fasting" used to trigger the Hulk in me because I was addicted to eating. For someone who loves the enjoyment that eating brings more than the enjoyment of a satisfied tummy, choosing to fast is a foreign concept. So what exactly is intermittent fasting? What are the benefits of intermittent fasting (IF)? Why should any self-proclaiming lover of eating consider its merits? Isn't it enough to not eat between major meals throughout the day? Let's look at what physical state fasting describes. Dr. Mercola's article on IF has been a great resource to me. In plain words he describes why intermittent fasting could make for a healthier lifestyle and how to go about it practically. I don’t know about you, but I am itching for warmer weather. Here in Minnesota, spring has not yet, well, sprung which has left us with the cold winds of winter and piles of snow. There is definitely a place and a season for winter, however if you live in Minnesota, that means this season seems to take up most of the year. I do love the beauty of a fresh snow fall especially when cozied up inside with a mug of my favorite hot chocolate, but now that we’ve had winter for what feels like 12 months, I am excited for the warmth and the changes of a new season. Historically I haven’t really liked the season of spring. I’m not much of a fan of rainy days combined with the brown foliage of winter that lingers, though I do love watching the transformation from the dead of winter to the beautiful colors of spring. Another thing I love about spring is spring cleaning. I know that may sound crazy, but cleaning and organizing has become a fairly effective and productive stress reliever for me… most of the time. Check out this post for a few ideas on how to get more organized with your cleaning. Today though, I wanted to talk about a different type of spring cleaning, spring cleaning that goes a little deeper. Spring cleaning of our time, spring cleaning of our thoughts, and spring cleaning of our heart attitudes. I am passionate about discovering how to experience living wellness. Not just living okay-ness but living well-ness! I am clarifying this for all fellow coffee-lovers out there, to make me look less like a coocoo-crazy person for choosing to cut back on my coffee intake. My naturopathic provider had pointed out that my caffeine consumption was putting too much stress on my body (somewhere in Connecticut a Lorelai Gilmore just fainted). I yelped like I had done when he told me years ago that I would be better off staying away from sugar for a while. But by now, the ability to steer clear of added sugar has become a lifestyle bearing many benefits! I quite enjoy it! But coffee, oh well that's a whole different story. Coffee seems to be that one thing that I could never view myself giving up completely. After some time in self-reflection, I realized that by me not wanting and not willing to give up coffee, I was letting it have power over me. I was being controlled by my cravings. I could not live wellness if I was being controlled by my choices. I could not simply talk the talk of wellness, I needed to walk the walk too. And if not drinking coffee was a way to get there, I needed to get my walking shoes on! As I’m preparing for the upcoming interview on Living Wellness Live with Stefanie Peters, I’ve been reading her book, Unleash Your Lady Boss: 10 Keys to Unlock your Ultimate Life and Ignite the Greatness Within. After reading Stefanie’s book, I’m really excited for the interview—she has some great stories and insights to share. Here’s are a few of my favorite quotes and some topics we may discuss at Living Wellness Live on Friday, March 9th. I hope you can tune into Facebook Live or attend in person! These leadership thoughts are not just for lady bosses, they apply to dude bosses as well. And I firmly believe that every person is a leader in their own sphere of influence. So, read on and be encouraged from quotes from a real lady boss, Stefanie Peters. This has been a personal struggle of mine for 20 years. As a people pleaser, I would be tossed about this way and that with decisions great and large, from what classes to take in high school to what wedding dress I would ultimately pick. The last 10 years has been a wonderful period of recognizing when people pleasing crosses the line from polite to destructive. Another book that has been eye opening is TrueFaced by Bill Thrall and Bruce McNicol. Learning about me has been one of the best and most fruitful journeys of my life. Last week I wrote an article about Mindful Movement, you can read that blog post here. Lately, I have been doing more thinking about mindfulness and how to apply this concept to other areas of our lives. More on that soon! This week, I encourage you to think further on a topic we’ve touched on before: thinking mindfully about how you eat. "And the peace of God, which transcends all understanding, will guard your hearts and your minds in Christ Jesus" Philippians 4:7. God wants us to rest in his peace. It may not seem that way with life’s constant daily stresses. But God promises us that when we hand our struggles over to him in prayer, no matter how great or small, he will guard our hearts and our minds with his peace. Conferences are events where we set aside time for growth, relationship building, and (hopefully some) fun. These events usually have a profound impact on me. I can point to major decisions & revelations that have come out of attending a growth-focused conference. I just presented a new topic at the Sisterhood Leadership Conference this weekend, and I wanted to share some of the highlights. Even if you didn’t get to attend that event, I hope you gain a few insights here! Before you begin reading, take three deep breaths. Close your eyes. Relax your body, draw your shoulders back, release any tension in your neck or jaw. Work on breathing deeply while you read. . . and be prepared to do some movement along the way! As a group exercise instructor, personal trainer, nutrition coach, author, and lover of Jesus, Mindful Movement seems to bring all of my passions together. What is it you ask? Well, it’s hard to explain, but I’ll give it a try in hopes that you will try out some Mindful Movement with a friend or on your own. We are super exciting to have the one and only Amy Peterson, RN, personal trainer, and group fitness instructor extraordinaire as our guest blogger today! Amy’s been a guest on our first and second Living Wellness LIVE shows. Click the links here to see the Facebook LIVE recap videos of our shows: Show 1 and Show 2. Without further ado, here’s Amy with some great tips for jump starting or re-starting your 2018 wellness goals. Over the past 10 years, I’ve seen many clients and friends succeed in accomplishing their wellness goals, and I’ve seen many stall or just give up on their goals. Let me just say that it is never to late to start prioritizing your health by making some SMART goals, no matter how small of a goal it is. Learning about leadership is a huge passion of mine. I became fascinated with leadership after starting my first business in 2006. At just 22 years old, I hired my first employee. Two years later, I had 10 people working for me and I deeply desired to become a great mentor and leader following in the footsteps of a few influential people that had mentored me. I’ve also always wanted to share what I've learned about leadership, but I didn’t think I had anything to add to the global conversation. Now that I’ve been a business and franchise owner for almost 12 years (with 4 separate businesses), I still don’t claim to know anything profound (insert crazy emoji face here), but I’m more passionate than ever about helping individuals grow into the people God created them to be. My focus is health and wellness—and leaders must be healthy in order to be as effective as possible. When we are physically, mentally, and spiritually healthy, we can change the world! Everyone’s talking about New Year’s resolutions. Have you set any? Maybe your resolution is to set a resolution 😊 Or do you more resolve to not make any resolutions? Making New Year’s resolutions is definitely a common thing people do. What’s the point of making these resolutions? No, no…it’s not just to break them. I’d like to suggest the practice of New Year’s resolutions can actually be quite transformative if you go about it with an honest heart. I love taking a few moments during this time of year to reflect on all the changes, blessings, challenges, triumps of the year. It helps me to first and foremost reflect on God’s provision. Reflection on the past year can help you to identify what you were really proud of and things that you wish that you could change. In the process of doing so, you then have the opportunity to look forward into the next year with a sense of opportunity for something new. Rather than setting goals to eat less sugar or exercise more (which are great goals), I’m setting an intention this year to be more mindful.